We have always been about maintenance. Sure, we want to sell you new stuff, but you can often hold off new purchases by properly maintaining your current appliances. For grills, that means thoroughly cleaning. For that, we will turn to a true expert, Doug “Wookie” Keiles. 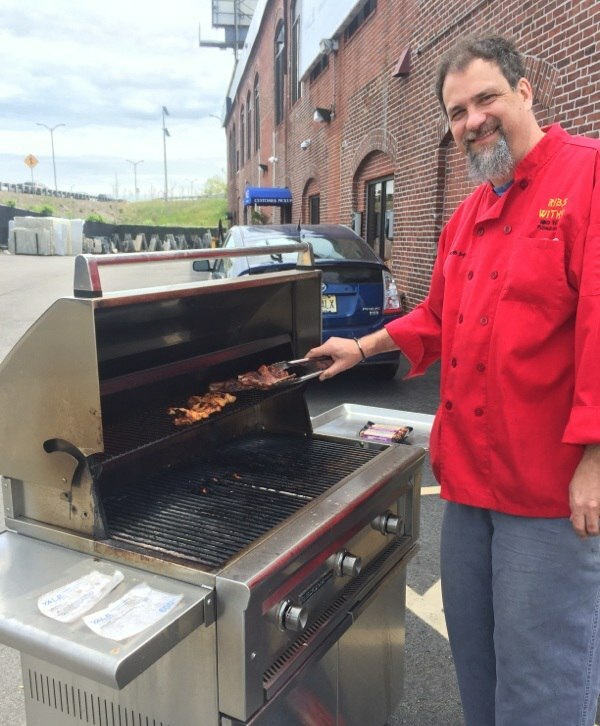 He has been featured on the TV shows "Pitmasters", "Chopped", and is a competitive griller. We also have a grill newsletter written by Doug. We feature products, tips, and recipes. You can subscribe here or grab a copy of the Yale BBQ Buying Guide. 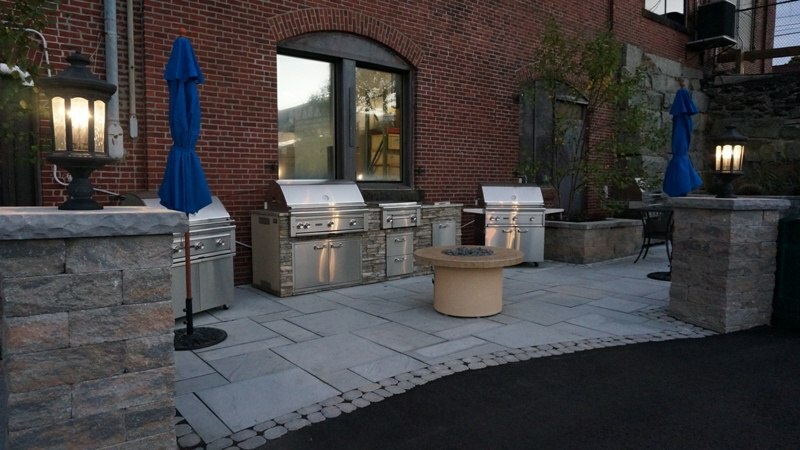 We're also offering Free Delivery and Assembly on all grills over $499. But before you throw in the towel, let's see if we salvage your present grill. These cleaning tips are from Pit Master Doug Keiles. Rust happens when moisture gets trapped inside the grill and the metal oxidizes, turns brown, and then starts to flake. Rust is a grill killer and very bad for you. Most of the time, rust happens on the bottom of the grill and where the gas lines enter the grill. To check for rust, remove all briquettes, lava rocks, debris, and any other flame buffers (deflector plates, etc) from the bottom of the grill. If you can easily remove any burners, do that also. Use a metal paint scraper to really clean the bottom. Remove debris and look for brown flaking. Rust can be dangerous if burned. If there's a great deal of flaking or it is very muddy on the bottom, it may be time for a new grill. If there is little or no rust on the parts you can re-use them. But if they are very rusty, you can easily replace the burners, deflector plates. If they are all ok, put back whatever you took out. I recommend replacing lava rocks every 2 or 3 years no matter how they look. Re-connect the gas and go to Step 2. After your gas is reconnected, turn all burners on high using the electric starter and let it run for 5 full minutes. This is an important test because sometimes grills start and then stop. If it lights and stays on, skip to step 3. If the flame goes out, make sure there is gas in the tank, wait 2 minutes and try again. Once again, if it works, skip to Step 3. If it doesn’t light and you hear the gas hissing, turn off the gas. Wait a few minutes and try again. If it still doesn’t light, wait 2 minutes and carefully try to start it with a long match or long gas lighter. If this works, your starter might need to be replaced. If it doesn’t start, do not try it again, turn off the gas and disconnect it. When your grill is working, it's very important to start your grilling season with clean grill grates. The best way I found to do this is actually flip your grates upside down and heat on high for 7-10 minutes and scrape the bottom with a grate brush. Then VERY CAREFULLY, using a grate lifting tool or tongs, turn the grates right side up and scrub them with the grate brush. This should get them clean. If not, place a sheet of tin foil on the grates with the grill on high for 5-10 more minutes. Carefully lift off the foil and scrape whatever is left on the grates. Then, crumple up the same tin foil in a ball, and scrub the grates with the tin foil ball using tongs. A degreaser is great for cleaning the outside of the grill, not the inside. Do not use it nor an oven cleaner on the inside of a grill ever. It is not hard to clean and maintain your grill, and it will extend its life. It will also perform better after following these simple steps. Looking for a new Grill? 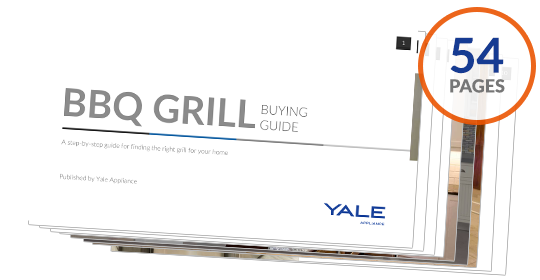 Get the Yale BBQ Grill Buying Guide with features, BTU specs, and detailed profiles of the best brands. Well over 300,000 people have read a Yale Guide. This article was originally published on April 5, 2014, and has been updated for accuracy, freshness, and comprehensiveness.